www.malaysianidentity.com :: View topic - Is there such a thing as Msian postodernism? Post subject: Is there such a thing as Msian postodernism? Im just throwing this out, hoping maybe someone might be interested in responding? (From my point of view) Postmodern is just a term to classify the period of time where things get more complex, from linear to flexible; from singular to plural. From current situation in M'sia (and any part of the world), we're definitely living in a postmodern world (or has it become post-postmodern? ): we buy items for the brands; meanings that people constructed on evens and objects differs from one to another (there's no fixed meaning to anything); we function in a hyper-real world as much as real (or is there a totality of 'real world'?). 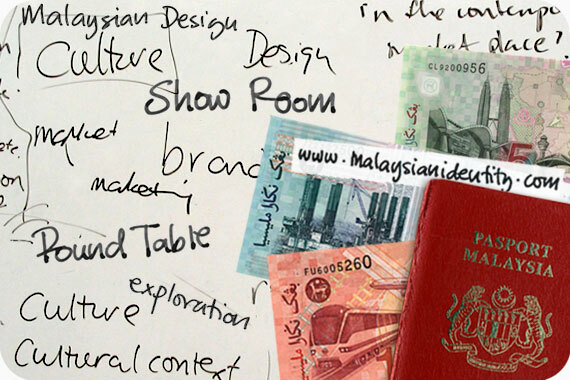 At this stage, I would rather put aside the cap of a time-period to discuss about design/branding/identity in M'sia. I would rather look at the situations instead. - How are M'sians behaving in this contemporary society? - What are the roles of design/designers in response to this? we buy items for the brands; meanings that people constructed on evens and objects differs from one to another (there's no fixed meaning to anything); we function in a hyper-real world as much as real (or is there a totality of 'real world'?). This is interesting. And living in post-postmodern? Perhaps? I like to add into this discussion about authenticity and 'real world'. Here is the qoute i found interesting about brand, authenticity and 'reality'. There are many things we heard about the craziness between people and the product, or what we called now 'brand'. One of them is about how parents start to call their children after their favorite brand. Got this from Canadian 'culture-jamming' magazine add-busters. In the summer of 2000, scores of American families that called their new babies 'IUMA', to win $5000 each in prize money offered y a new website of the same name - or to be precise, called Internet Underground Music Achive (IUMA). We're proud to bring open-minded people the opportunity to name their children after a website that stands for new and creative expression,' said IUMA founder Jeff Patterson. Calling human after brands is the ultimate takeover of reality. Brands are our new traditions, our values to live by, our ideals in a shapeless and shifting world, they say. But the idea of transforming the child into a walking, talking advert is downright disturbing. At least robots have their own names. Is this an impact of postmodernism? Are we living in 'real world' now? thanks for the qoute! Just a quick one on 'real world'. I would like to approach this from a constructivist point of view: that reality/meaning only occur when people construct them. This means objects and events will not have their own meaning until people 'put' meanings on them. For example, if we just say 'Melbourne', on the surface, we might seem to be talking about the same 'Melbourne'. But, if we actually go abit deeper and asking 'how do you describe Melbourne', or 'what is Melbourne to you', I am pretty sure our 'Melbournes' will then be different. Mine could be just Fed Square and the Art Gallery; my student's 'Melbourne' could be some shopping streets; a friend's 'Melbourne' could be where she walk her dog ... So in this case, the 'real' Melbourne is different from one person to another. That is interesting view about reality/meaning. Just a quick one on 'real world'. I would like to approach this from a constructivist point of view: that reality/meaning only occur when people construct them. This means objects and events will not have their own meaning until people 'put' meanings on them. We seem as a species to be driven by a desire to make meanings: above all, we are surely Homo significans - meaning-makers. Distinctively, we make meanings through our creation and interpretation of 'signs'. Indeed, according to Peirce, 'we think only in signs' (Peirce 1931-58, 2.302). Signs take the form of words, images, sounds, odours, flavours, acts or objects, but such things have no intrinsic meaning and become signs only when we invest them with meaning. 'Nothing is a sign unless it is interpreted as a sign', declares Peirce (Peirce 1931-58, 2.172). Anything can be a sign as long as someone interprets it as 'signifying' something - referring to or standing for something other than itself. We interpret things as signs largely unconsciously by relating them to familiar systems of conventions. It is this meaningful use of signs which is at the heart of the concerns of semiotics. As Chriss said, "How are Msian behaving in this contemporary society?" A very interesting point. Bring it in! I might get sthing out of this.. If there is a word or phrase that can be used to describe contemporary Msian society the postmodern, post-postmodern period, what would it be? i always felt if i were to use the term Pm in describing contemporary Msian society (whatever that is), I'd be joining the bandwagon in using all this jargons..
so do u have any suggestion on other term?? 1) It puts a cap of time and boundaries of exploration to your research. What if one day someone actually came about declaring the end of Postmodern era, and suggest a new paradigm, then the writings with postmodernism involved will be seen as 'past' and as historical context. 2) The definitions and applications for/of postmodernism is too broad. By aligning your research to just postmodern theories will land your research in danger when people intepret it differently from what you are exploring. Therefore, I have been using 'contemporary' instead of puting a time and theoretical limit to my research. By doing so, you can still include philosophies and theories of relevance under the studies of 'contemporary M'sian context'. Erina wrote: If there is a word or phrase that can be used to describe contemporary Msian society the postmodern, post-postmodern period, what would it be? Great! This can be your exploration then! You might end up in your research findings in defining M'sian society with a NEW term! Looking forward. By the way, what's your research in detail (sorry if you've already mentioned it somewhere in this forum before)? I agree with Chris opinion about using the word contemporary instead of postmodernism. But it depends on which area or subject that we're looking at too. I mean in Art History postmodernism is widely used for certain purposes. Perhaps for showing the period of time where the 'trend' happen. Coming back to what Erina wrote, just a thought, is there contemporary Malaysian Society? How do we describe this? My problem with the word "contemporary" is when it starts and when it stops. If there is a shift in the arts again, then the contemporary will be sthing else. How will i address the current contemporary then? KWIM??? Just wondering what is the area that you're enrolled in? As in who will be the audience of your research/thesis? Because I was thinking, to have such boundary caped in your title of the thesis "Postmodernism in Malaysia" is somehow 'dangerous'. Similar reasons as I've mentioned earlier. With such title, readers/examiners will be judging everything in your thesis based on their understanding/critique on Postmodernism. Im with the Art History and Theory Department at Sydney Uni. Maybe it was typo, the tentative title is "Postmodernism in Msian Art." Im like basically interested in artworks by Msian artists that fits into the "postmodern art" style like in the West, but I am arguing otherwise. That it doesnt fit into the periodization, or even an upshoot from the Western postmodern discourse. So why these artists easily take up works like installation, performances, video art, multimedia etc since the 1990s? Why is there a shift especially evryone knows that 2 decades b4 that most artists (Malay and Muslims esp) upholds their cultural and religious background in their work? So I am investigating why despite NCP and NEP, so called the postmodern artistic outlook attracts these new generation of artists. There are writers that describe the recent trend as PM but of course they never justify why. My sense is that although it looks like PM art, it actually is not because so and so and so and so.. probably towrads the conclusion i would like to suggest a different term to describe the phenomenon. KWIM? ?